THIS POST WAS ORIGINALLY POSTED IN 2011, BUT REMAINS RELEVANT TODAY. The numbers projected in this post have virtually ALL been exceeded. Some, by a wide margin. Sometime this year, 50% of Americans will own a web-connected smartphone, yet less than 20% of online retailers have websites optimized and formatted to serve these mobile consumers. I am calling this the “mobile commerce gap”. The reason for this inequity between demand and supply, in my opinion, is because the internal resources required for online retailers to properly develop a mobile commerce site have been pulled in other directions, even as smartphone adoption rates have exploded. As a result, a majority of online retailers are offering their mobile customers a very poor online shopping experience. This, in turn, results in poor conversion rates and missed sales, not to mention the fact that consumers are left with the general impression that the retail brand is not serving their needs. Think about it, how many times have you visited a site on your smartphone and immediately left when you saw it was not optimized for mobile? According to Google, this happens 79% of the time! Why this “gap”? The first distraction came in 2009 when retailers and brands alike were told they must “drop everything and build an iPhone app”. While apps are great for some things, a vast array of surveys and studies have concluded that consumers much-prefer a mobile site over an app for commerce. The second was the social media craze of last year, as Facebook, Twitter, and the rest dominated headlines and became “must-haves”. Both soaked up internal IT resources and distracted online retailers from building the mobile-optimized sites needed to serve their increasingly-mobile customers. While it is true that most “standard” websites are capable of being viewed on a web-enabled phone, few consumers are willing to “pinch and zoom” their way into a converted sale on a standard site jammed into a small screen. Ever tried this? It’s not fun. While the need for mobile-optimized sites might seem obvious, many retailers justify not investing in mobile commerce by citing low mobile-originating traffic to their current site (usually 2-5%). Of course, this low-traffic negative feedback loop is caused by the fact that mobile customers seldom return to a site after being greeted with such a poor user experience. The retailer then concludes there is no need to invest in the “mobile web”. Again, there is no “mobile web”. There is only the web viewed on a mobile device. There is a lot of “noise” right now regarding mobile payments at point of sale, when the phone is used as a “mobile wallet” to pay for coffee and the like. While mobile payments might-well emerge as an issue retailers need to address, this is not the same as mobile commerce. Mobile payments involve banks, credit cards, investments in point of sale infrastructure, coupons, NFC, loyalty cards, and a whole array of complex issues. Mobile commerce is simply the act of ordering something online, from your mobile phone, via a mobile-optimized version of a website. Retailers should not confuse the two, or delay the launch of a mobile commerce site while trying to understand mobile payment options and what uniform technology may or may not emerge victorious. Remember, every time a consumer clicks on a marketing or advertising link to your website on their mobile phone, they should land on a site that is optimized for the device they are accessing that message on. Whether a tweet, a Facebook post, a banner ad, a QR code, an SMS message, or an email, the mobile consumer who acts upon the message should be able to convert that action easily into a sale, via a mobile commerce site. If you are a retailer and do not have a mobile commerce site and are spending money on social media marketing or mobile advertising, you are likely paying to promote links to a very poor customer experience. 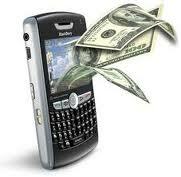 There are several options for creating a mobile commerce site. You could use a transcoder to “screen scrape” your standard website and shrink it to fit a mobile screen. You could “sub-out” your mobile commerce efforts to a third party, by letting them “handle it” with their own separate and duplicative mobile store. OR you could leverage and extend your current, proven and trusted e-commerce operations into mobile via an integrated solution. This is a superior approach, in my opinion, as it means you are avoiding duplication, while also maintaining full in-house control and fueling mobile commerce from the same infrastructure you trust today for your e-commerce operations. A software-based integration approach takes a bit more effort on the front-side, but the long-term benefits are significant, as this single effort, if done properly, can serve as the foundation for not only mobile commerce, but also Facebook commerce and commerce-enabled iPhone and Android apps, as needed. The single biggest reason I hear retailers give for not moving on mobile commerce is a lack of IT resources. Simply put, this is a poor excuse. While it may be true that IT is backed up, the measurable, tracked ROI that mobile commerce offers should elevate this to the top of the list. The ROI is extremely rapid, by even the most conservative estimates of the resulting tracked, incremental mobile commerce sales. Retailers and brands that are out ahead of the curve will be the biggest winners, as long as they plan for growth and chose the right approach. Still not convinced that mobile commerce is a “must have”? In recent weeks Google and other mobile marketing players have begun encouraging retailers to sit up and take notice of this “gap”, since they can’t sell online retailers mobile marketing campaigns if they have no place for the target audience to “land” when they click though a mobile campaign ad/link. $1.9 Billion: Worldwide online mobile sales in 2009. $23.8 Billion: Expected worldwide online mobile sales in 2015. 61%: The percentage of mobile users unlikely to return to a site not optimized for mobile. 79%: The percentage of Google retailer advertisers who DO NOT have a mobile site. 78%: The percentage of consumers who prefer a mobile site over an app. 62%: The percentage of smartphone owners who have purchased physical goods via their phone in the last 6 months. 2-5%: The typical percentage of mobile traffic coming to a non-optimized retail website. Sources: Adobe-Mobile Shopper Insights, Google, eMarketer, Shop.org, Coda Research, Unbound Commerce. Your customers are mobile and they are very likely trying to access your site on their smartphones right now. If they still see your “standard” e-commerce site crammed onto a small screen, you are delivering a poor customer experience and, as such, are missing incremental mobile sales. Try it yourself! Some experts expect mobile commerce to grow to become as much as 10-15% of online sales. Retailers should weigh the risks of launching a solution that is not integrated with their current operations, since what might not be a problem at first could emerge as a big issue when mobile commerce makes up a significant percentage of online sales. Find the resources, take the time, and consider building/launching a mobile site ASAP that leverages and extends current online sales operations. You will provide consumers a positive mobile interaction with your brand that also drives significant incremental, tracked revenue. Mobile commerce is here and the time to take advantage via a mobile commerce site is now! Wilson Kerr (@WLLK) is a former Tele Atlas exec, LBS consultant, and now leads Sales and Business Development for Unbound Commerce. Contact him today to learn more. Wilson@UnboundCommerce.com Boston Mobile: 303-249-2083.